Natural resources like oil and minerals are the largest source of unaccountable power in the world. Petrocrats like Putin and the Saudis spend resource money on weapons and oppression; militants in Iraq and in the Congo spend resource money on radicalization and ammunition. Resource-fueled authoritarians and extremists present endless crises to the West - and the source of their resource power is ultimately ordinary consumers, doing their everyday shopping at the gas station and the mall. In this sweeping new book, one of today's leading political philosophers, Leif Wenar, goes behind the headlines in search of the hidden global rule that thwarts democracy and development - and that puts shoppers into business with some of today's most dangerous men. Wenar discovers a rule that once licensed the slave trade and apartheid and genocide, a rule whose abolition has marked some of humanity's greatest triumphs-yet a rule that still enflames tyranny and war and terrorism through today's multi-trillion dollar resource trade. 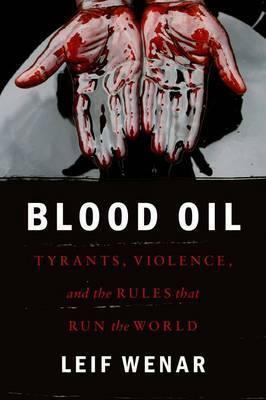 Blood Oil shows how the West can now lead a peaceful revolution by ending its dependence on authoritarian oil, and by getting consumers out of business with the men of blood. The book describes practical strategies for upgrading world trade: for choosing new rules that will make us more secure at home, more trusted abroad, and better able to solve pressing global problems like climate change. Blood Oil shows citizens, consumers and leaders how we can act together today to create a more united human future.